It seems we never realize just how much we rely on having power at our fingertips until we don’t have it. You think about it when a storm knocks out the electricity at your home, or when you need to power your campsite or tailgating setup. Fortunately, the name you trust in cars also manufactures a series of high-quality generators designed to step up to the plate when you need them most. Read on to discover some of Honda’s best generators that will power your diverse energy needs. If you’re looking for a high-quality generator to power fans, TVs, lights, and small power tools and appliances, the EU100I is your generator of choice. Reasonably priced, super quiet, and lightweight, this generator is a great choice for those basic power needs that pop up when your house unexpectedly goes dark. Power your furnace, refrigerator, microwave, and a variety of appliances with the quiet and convenient EU3000IS. It has an electric start, great fuel efficiency, and can be paired with a second, identical model with a cable for a big boost of power. Great for RV and home use! For reliable and fuel-efficient jobsite power needs, check out the EB2800I. This lightweight and portable generator starts easily and offers a long run time for a full day’s work. This is possible because of the Honda-exclusive Eco Throttle system that allows the engine to adjust as needed to produce only the power you need. The EU300I Handi is the lightest 3,000-watt inverter generator in Honda’s history. This model is fully portable with wheels, a folding handle, and a compact design, and it gives you plenty of power for camping, tailgating and basic home backup needs. A Honda commercial GX engine and heavy-duty frame makes the EB10000 the generator to use for your biggest power needs. This model is OSHA worksite compliant to meet job site emission and safety requirements and offers incredible fuel efficiency and low noise ratings for its class. Connect multiple tools with the seven outlets, and monitor performance and service diagnostics with an i-Monitor LCD readout. If you’re ready to harness Honda power, then you should head straight for Brannon Honda to explore Honda’s lineup of power equipment. We stock a full inventory of Honda power products including the brand’s range of reliable, multi-purpose, and user-friendly generators. We also have great deals on the power equipment you need, so you can count on getting a fantastic deal from Brannon Honda. If you need help navigating your options, we have brand experts on hand to help you decide which product and model is right for your needs and budget. 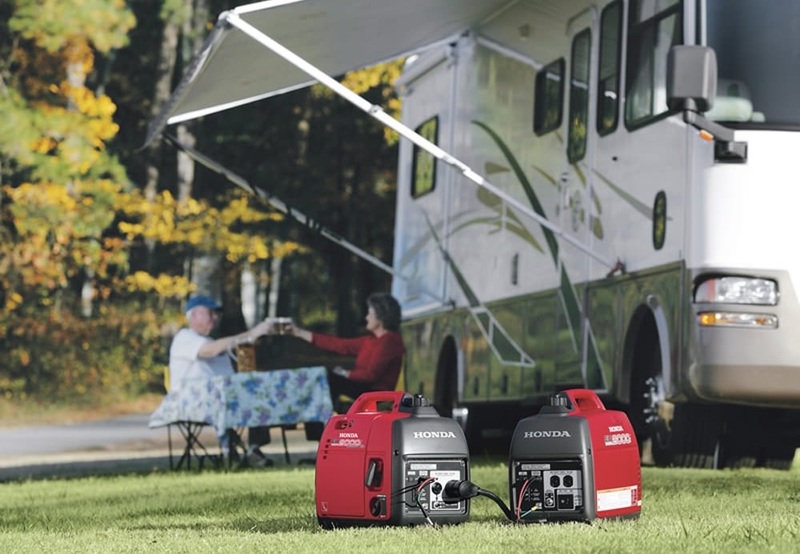 Stop by Brannon Honda today and let us help you power up with a Honda generator.